​Brian you can't just drop these nuggets without the sauce. ESPN ​NBA insider and source on all things LeBron James casually slid into Bill Simmons' mentions when discussing the near-Marcus Smart-Hawks fight on Saturday night. Simmons asked his following about the best Celtics spars of all-time. 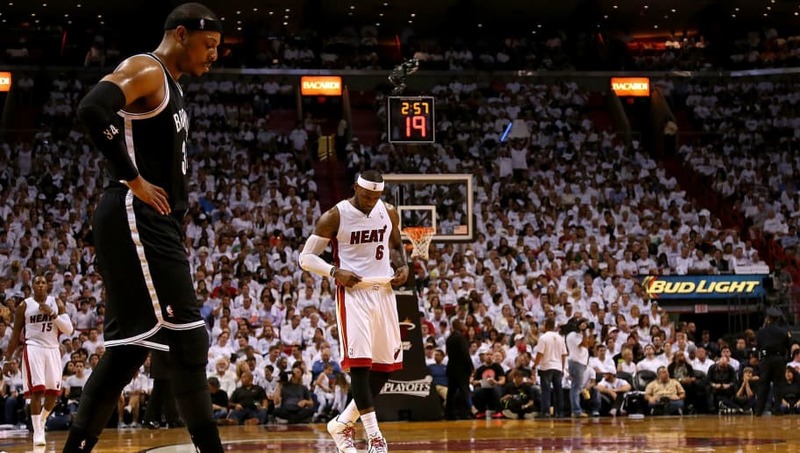 Windhorst came back with what would've been an instant classic: ​Paul Pierce vs. LeBron James. The near fight between Paul Pierce and LeBron James in the hallway at Ohio State in a preseason game in 2004 is a great unknown what if. Excuse me? How have we never heard of this? Windhorst speaks as if this is common knowledge. Any incident between Pierce and James would've made national news at the time, yet we've literally never heard a peep about this well-kept secret. The James-Pierce battles always seemed to go beyond just hard-fought competition. According to a link Windhorst provided, the incident occurred after Pierce spit towards the Cleveland Cavaliers bench in a preseason contest at Ohio State. After the game, LBJ must've confronted Pierce, and the two nearly came to blows. It's uncommon for these feuds to leak into private life in today's NBA, where players on rival teams are often very close friends off the court. But one can understand the bad blood between these two especially during James' first stint in Cleveland—that was a rivalry with intensity we haven't seen very often in recent years in the NBA. 15 years later, James and Pierce have a mutual respect for one another. Just don't spit anywhere near The King.